admin December 21, 2018 December 21, 2018 No Comments on Ask A Vet: Why Does My Cat Attack My Feet Under The Covers? We all know it. I think all cats have done it. You are lazily waking under your covers when your cat launches herself at your feet. Sometimes we anticpate and egg it on, but sometimes, it is a bit of a shock if you are comfortably snoozing when the attack occurs. You can make it a game or you can just bump her off the bed. Given the unpredictability of your reaction, why does your cat seem to find the lure of your hidden feet so irresistible? That’s just it… it’s irresistible. Cats are hunters and their prey drive is hard wired into their very being. The presence of prey, its movement and sound, triggers a response inside your cat’s brain that is reflexive. He probably knows it’s your feet (or at least knows that what it is an awfully large prey item for him), but the signals prompt him to act, regardless. As the game moves forward, of course, his cognitive brain starts to catch up and he relishes the capture and loss and recapture of your elusive feet just for the fun. Think about sport fishing. I used to wonder why in the world a fish would try to eat or attack a plastic lure. Sport fishing is successful based on the very same concept. It is not really about the lure or the material (because let’s face it, artificial lure is like your foot, never edible), but instead it is whether the lure can trigger the fish to instinctively attack. Here is where the skill and art of fishing come in. The fisherman wants to use and move the lure in a way that will cause the fish to react without thinking. Your feet may do the same thing for your cat, but there is probably more to it than that, given that your cat likes you and wants your attention. She gets the fun of the chase and catching of your feet and sometimes, you respond with a game. She never actually ingests your toes, so she knows in her thinking brain that this is not a hunt. If she is truly hungry, she will abandon the game in search of real food. 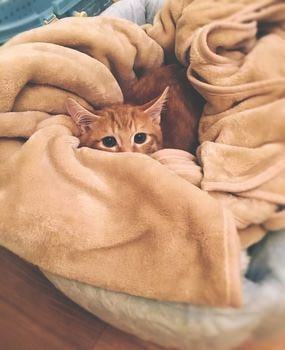 Hunting and prey apprehension are so important to cats that those deprived of it are at a greater risk of medical and behavioral disorders, so indulge your cat’s desire to stalk your feet, even find other things that she can sneak up on and pounce on. If she’s interrupting your needed sleep time, make sure you indulge her hunter instincts in deliberate games before you retire for the night. Appreciate that she needs these types of activities for her overall mental and physical health. If it turns into a fun game ritual, it is even better! Do you love cats? Find me on Facebook at Kathryn Primm, DVM. We talk about all sorts of fun animal things! » Ask A Vet: Why Does My Cat Attack My Legs When I Walk By?